BASSETERRE, St. Kitts – Further investigations into the Dr. Denzil Douglas passport matter by the Team Unity-led administration have found that the former prime minister, now leader of Her Majesty’s Loyal Opposition, is indeed a holder of a diplomatic passport issued by the Commonwealth of Dominica July 30, 2015, bearing the number DP0000462. That diplomatic passport also lists Dr. Douglas’ nationality as Dominican. 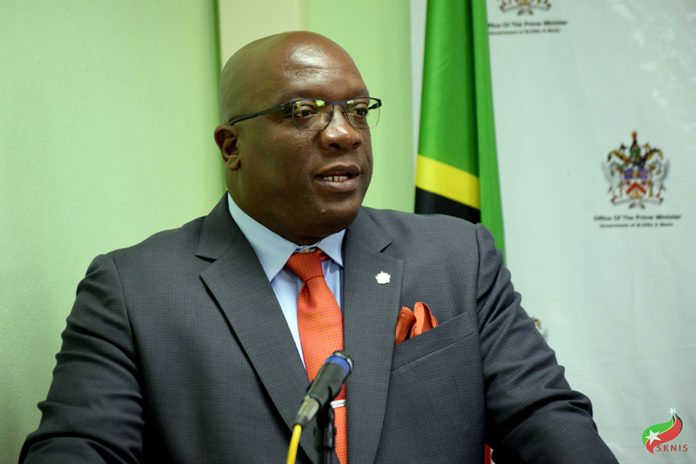 This confirmation was made by St. Kitts and Nevis’ Prime Minister the Honourable Dr. Timothy Harris, who also stated that Douglas had used this diplomatic passport on several of his foreign trips in the Caribbean and beyond. Addressing the nation during a press conference held today, Prime Minister Harris said this matter raises a serious legal question as to whether or not the leader of the Opposition is qualified to be a representative in the National Assembly. “Having regard to the foregoing evidential matrix and more, and in pursuit of the public interest, and I dare say its duty, the government has sought a legal opinion on the results of the investigation so far," Harris said. " During his tenure as prime minister, Douglas strongly opposed the notion of elected parliamentary representatives holding dual citizenship, and in 2009, played an instrumental role in bringing several pieces of legislation to Parliament that amended the National Assembly Elections Act. Now, Prime Minister Harris said the fact that the former prime minister has been found to be the holder of a diplomatic passport of another country also raises several fundamental questions that have yet to be answered by the Opposition leader. “The people of this country call upon Dr. Denzil Douglas to tell the full and unvarnished truth of his standing with the government of Dominica," Harris said. "Is he a paid diplomat and, if yes, how much is he being paid? On how many visits, if any, has he accompanied officials of Dominica on or represented the Government of Dominica on? Will Douglas put personal avarice and self interests above his duty as a Member of Parliament and as the Leader of the Opposition of St. Kitts and Nevis?